If you type ZeroZero into Google the web definition suggests that it is not contemporary performance that you’re interested in, but rather top quality Moroccan hashish. The latest dance work by Yumi Umiumare, Tony Yap and Matthew Gingold has in fact nothing whatsoever to do with hashish, but it does have everything to do with exploring the state of emptiness, the moments of zero gravity, and the spiritual arena in which these states occur. In a recent conversation with choreographer Tony Yap, we spent an hour exploring the process of creating dance works such as ZeroZero and the place that such works occupy within the contemporary performance landscape. 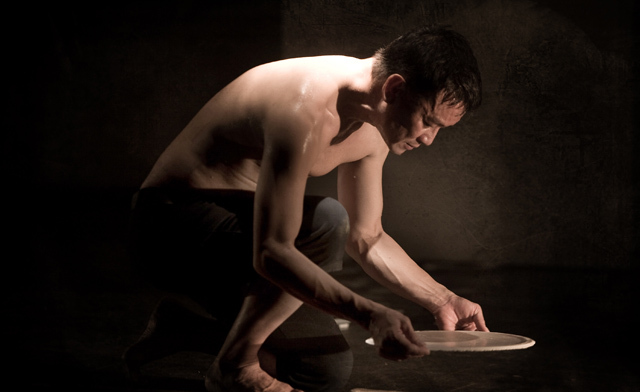 Having worked together for sixteen years in a range of different productions, both Yap and Umiumare have developed a unique choreographic language. But Umiumare and Yap aren’t the only two involved in this new work. Matthew Gingold has been vital in the journey towards creating a piece that allows technology to illuminate the particular trance-like states that are necessary for such an in-depth and intimate experience. Yap promises that no two shows will be exactly the same, the nature of trance experiences requiring a freedom of expression to manifest whatever the spirit wills, within those key moments of being in a liminal state of emptiness. ZeroZero is a personal work and, with three years of research and development, it is the second installment in a triptych. Maintain the fantastic posts. I prefer reading things like this.